Thank you for taking a few minutes to learn about the new classification of Printer Consumable Products that, we now offer through our online catalog. You may have searched through the Priceless catalog and noticed the distinctive logos next to a product description. The product is certified to have been re-built (professionally remanufactured) with a legally sourced empty core and the replacement, components used to rebuild the product do not infringe on the original manufacturers patents or intellectual property. These products are not illegal or counterfeit. They have not crossed into the country by avoiding International Trade Commission (ITC) regulatory Statues of Manufacturing Origin. What does TAA Compliancy mean? 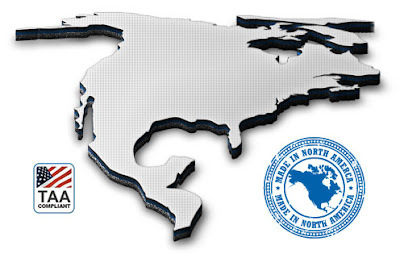 TAA refers to the Trade Agreements Act (19 U.S.C. § 2501–2581), which is intended to foster fair and open international trade. TAA requires that products must be produced or undergo "substantial transformation" within the United States or a designated country. When you purchase your supplies from Priceless, be assured that, we know the Origin of the product. When you elect to purchase from an online Mega Portal, (we all know the biggest one) neither you nor that Mega Portal know where the product was manufactured or if the core of the product was legally sourced and where it originates. They may not even know the real identity of the Sellers or their legal US status to do business in this Country. Simply be aware that Counterfeit toners come into this Country then repackaged to show Made in the USA labels. They are mixed into the inventory of the large distribution centers and from there find their way into your office devices. 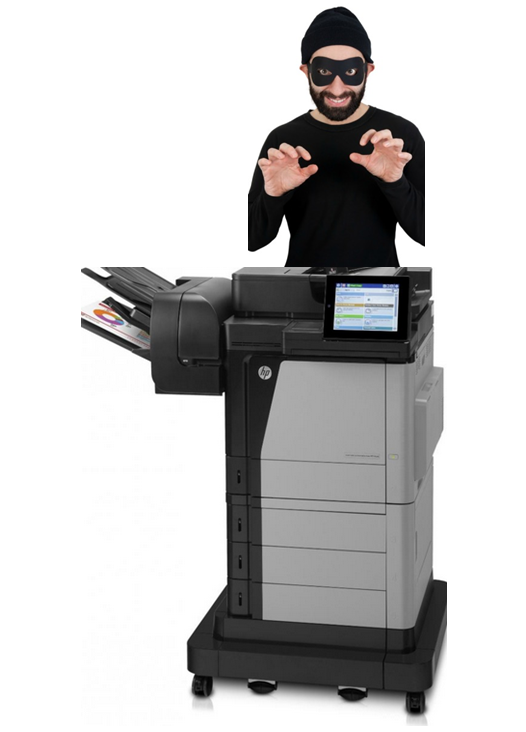 You are not getting the quality toner or ink cartridge you believe you are. We value US Workers and their jobs and therefore promote the quality of these exceptional imaging products. If digital transformation is not on your New Year’s resolution list, it should be. This includes changing operations to take advantage of technologies such as cloud and software as a service (SaaS), as well as ensuring the security of these services. Some businesses are sluggish to realize the benefits of extending this approach to print and digital document workflows or have overlooked it altogether. In 2017, there is a phenomenal opportunity for organizations to reap the benefits of the latest advances to drastically improve productivity, reduce costs, and increase document security. Gartner says print services typically consume 1 to 3 percent of IT’s overall budget. Businesses that adopt digital transformation tools can reduce their spending in this area by up to 50 percent and use those savings on other IT projects. Following are four print and document trends organizations should consider in 2017. 1. Cloud-based enterprise services on the rise. IT departments are rapidly integrating with cloud-based services to reduce costs and meet the needs of remote and mobile workers. Consequently, enterprises are using hybrid or full public cloud services to integrate with their existing on premise systems such as enterprise resource planning (ERP), print services, and document repositories. In 2017, organizations should expect all enterprise software solution providers to have a cloud-based option. 2. Subscription-based models for print management. SaaS is not a new concept, but mature industries such as the print and document imaging industry have been slower than others to adopt it. In 2017, savvy customers looking for ways to efficiently manage infrastructure and operating costs will request SaaS for their print management. 3. 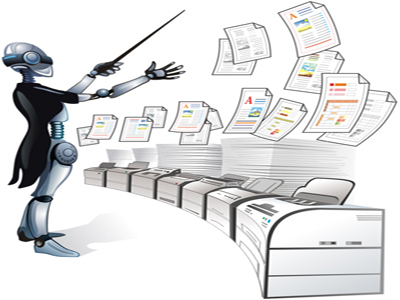 Managed Print Services (MPS) for digital transformation. Recent research has revealed 80 percent of respondents who utilize MPS were looking to grow strategically through efficiency in digital transformation. As a result, customers are expecting more from their MPS providers in order to utilize their smart multifunction printers (MFPs) and interconnected software to support digitization initiatives. These often use direct integration with enterprise content management (ECM) and include automated document workflows to support the transition to paperless operations and to support an increasingly mobile staff. MPS also helps you improve document security. 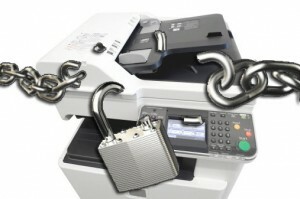 Every day, organizations are at risk of document security risks they may not have even thought of: the MFP. It prints, scans, and copies an organization’s most sensitive information, and may be the place where all previous security efforts are rendered useless because confidential data is going undetected. In 2017, the same attention to security that is afforded to other IT areas will be needed for document handling to ensure a more comprehensive risk mitigation strategy. In 2017, businesses should demand MPS providers help deliver their digital transformation. 4. Increased 3D printing solutions. The rise of 3D printing, especially in education, will continue. With the right strategy, 3D printers can do more than just introduce modern technology into the education process. They are particularly valuable when it comes to strengthening students’ motivation to learn. While 3D printer adoption will continue, 2017 will see a demand for tools that help educators manage access and costs. Additionally, as multiple 3D printers arrive on their network, efficient workflows and the ability to recover costs through student pay-to-print options will be required. The Staff at Priceless would like to extend our Best Wishes to our Wonderful and Loyal Customers, Business Associates and Friends that all may enjoy a Very Merry Christmas and a Happy, Healthy and Safe Holiday Season. As a special for our loyal customers, a randomly selected order, received on December 23rd, will ship absolutely free (regardless of dollar value). Our little way of saying, have a Merry Christmas and a Very Happy and Prosperous New Year. We appreciate the opportunity you have given us to serve you during this past year and hope, we may continue to earn your trust and referrals in the New Year. We grow because you tell others about Priceless. As our tradition continues this year, our Staff has selected to make a special financial gift to a great charity for children. Please note that our Holiday Schedule this year will include the closing of our office and warehouses on Dec. 26th. We will resume normal Business Hours on Dec. 27th at 9:00am EST. All orders received and processed on Friday, December 23rd by 5:00pm EST will ship the same day. Please place your order as early as possible considering the delays commercial carriers experience during the holiday season. Time Saving... Have you tried our new Mobile ready web store? You can place your order in less than a minute. Try it, we're sure you'll like this convenient feature. These are Powerful Words but they are words we all enjoy hearing. As we get closer to November 24th all of us at Priceless Ink want to say THANK YOU for the opportunity to be of service during this past year, we look forward to providing quality products and a trusting relationship. Be safe and enjoy this wonderful holiday. to get $20, $30 or $40 off your order! $40 off orders over $300, $30 off orders over $200 and $20 off orders over $100. A chance to stock up with supplies for now and through the holidays, and pocket some savings. Excludes OEM products. AMERICA WILL NEVER FORGET THEIR VETERANS. THEY ARE ALL OUR FREEDOM KEEPERS. Just a quick reminder, our Country a few days ago ended one of the most historic and exhausting Presidential Campaigns of modern times. We have all, as Americans, started to come together to heal our divide and one of the best ways to accomplish this is to remember our wonderful Veterans on Friday, November 11th. The sacrifice of these heroic men and valiant women in the service of our Country can never be repaid. They have earned our undying gratitude.